Create one-of-a-kind games with photos and designs of your choice. Impress your friends while having fun too. 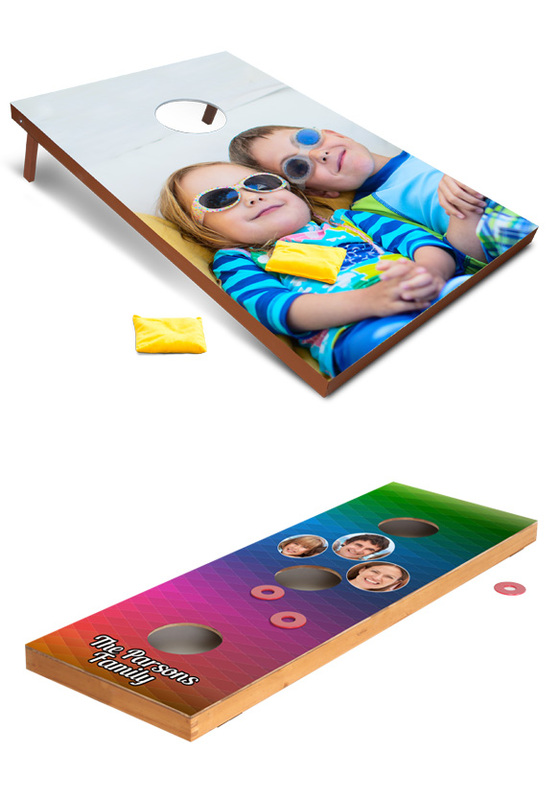 Custom games are offered in an array of subjects including; Corn Hole and Ring Toss. Products are made from long lasting materials and are custom printed with UV heat-infused inks. Makes for great gifts and year-round fun.